A self taught artist who grew up in Catonsville, Md, Mrs. Clark painted scenes from her childhood in and around the Baltimore area. Her work has appeared three successive years in the Washington International Art Fair, as well as in others ranging geographically from Zurich, Switzerland to the Jewish Community Center in Baltimore. Mrs. Clark’s style evolved so as to color the purity of her naiveté with a daub of sophistication - not in subject matter, but in technique. Naive painting is often distinguished by inattention to perspective. Figures in the background may be as large as those in the foreground. As a result such work is characterized by flatness. In her final years, Mrs. Clark strived for natural perspective. 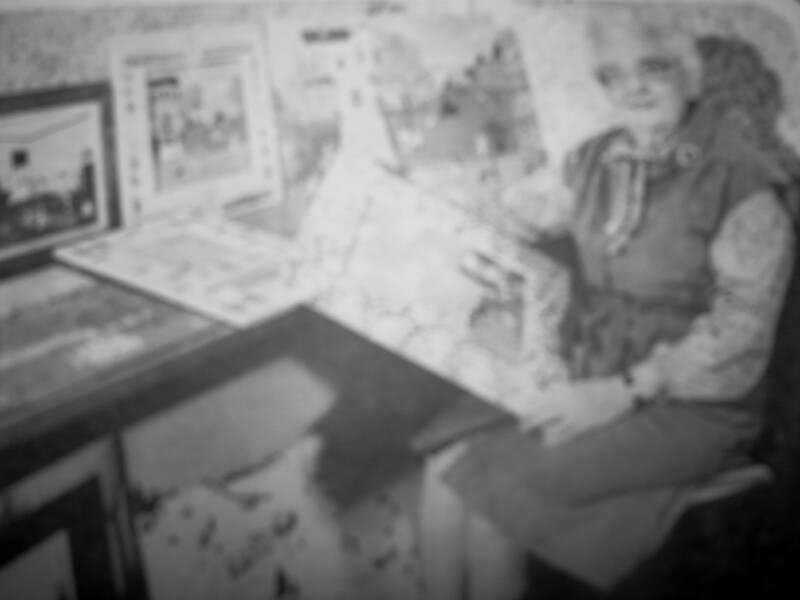 Jane Currie Clark, an artist compared to Grandma Moses, was born in Baltimore in 1906 and died around 1999. 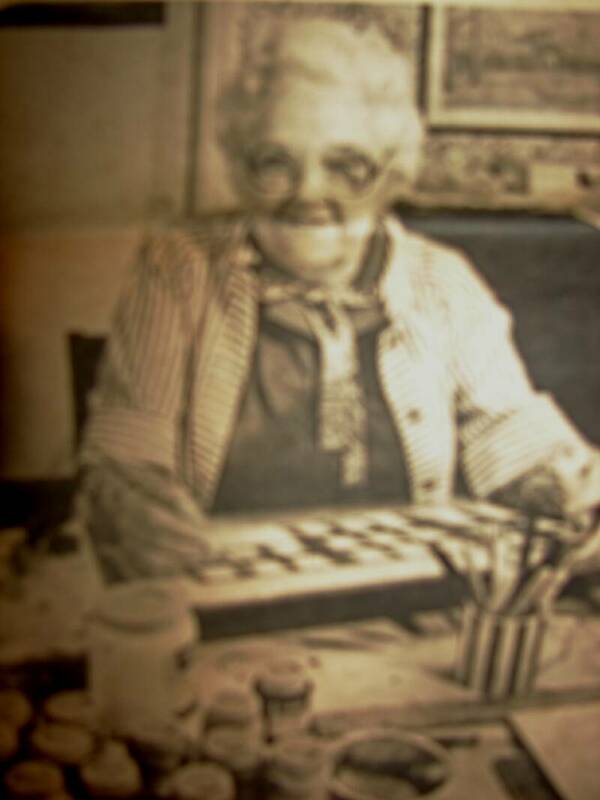 She started painting when she was in her seventies after retiring in 1976 from a sales job in a department store. Richard Coplan, her publisher, had a gallery initially in Baltimore, then in Boca Ratan, FL. She mostly did primitive paintings of her beloved Baltimore. She is in everyone of her paintings as a little girl. Many of her paintings were made into lithographs which were signed and numbered. The term naïve art presumes the existence (by contrast) of an academy and of a generally accepted educated manner of art creation, most often painting. In practice, however, there are schools of naïve artists. Over time it has become an acceptable style. The characteristics of naïve art are an awkward relationship to the formal qualities of painting. Difficulties with drawing and perspective that result in a charmingly awkward and often refreshing vision, strong use of pattern, unrefined color, and simplicity rather than subtlety are all supposed markers of naïve art. It has, however, become such a popular and recognizable style that many examples could be called pseudo-naïve. Whereas naïve art ideally describes the work of an artist who did not receive formal education in an art school or academy, for example Henri Rousseau or Alfred Wallis, 'pseudo naïve' or 'faux naïve' art describes the work of an artist working in a more imitative or self-conscious mode and whose work can be seen as more imitative than original. Primitive art is another term often applied to the art of those without formal training.